Here is an awesome time capsule from the 80s. Look at the crowd- heavy metal parking lot reincarnate! Observe the gaudy neon decor inside the el dorado. Critical Mass was a thrash band from sac in the mid-80s. Vince played guitar (he’s the only guy I knew) and I was told that Mike Farrell played the guitar as well, but that doesn’t look like him. Also includes a backstage cameo of Barry Fischel, warming up for the show. So I am probably going to go on forever about this one. I knew of a guy who filmed concerts in Sacramento back in the mid-80s. In fact, I gave him $20 to film my old punk band in 1987. I have been searching for this guy for YEARS. I was happy to reconnect with my old friend Jeff Maxwell a while back, and he remembered him but only had a first name- Mark. So I was hanging out with Mike Parisi and I mentioned my search for 80s video guy, and he connected me to Mark Horner(formerly “mark the dark” of Arson), who told me he knew the guy! He gave me his name and number and I “cold called” him. 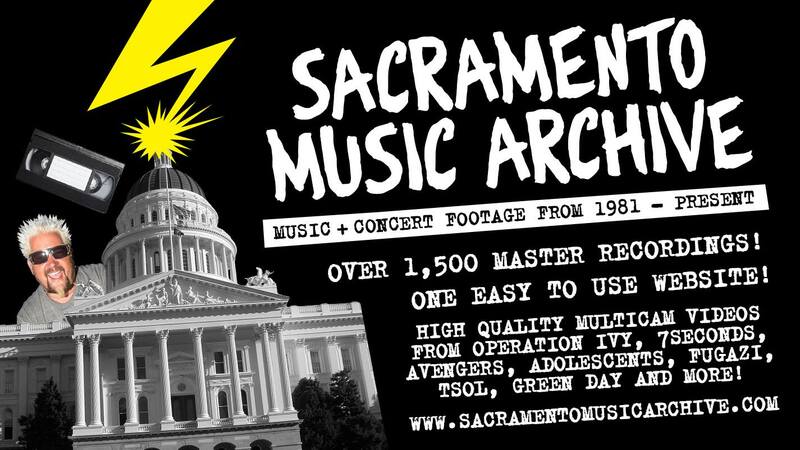 It turns out that he has been wanting to get his videos on the internet, and Sac Music Archive sounded like a great place to do it! Thanks to everyone for making the connection happen! So we hit a snag- he could not find the tapes. He finally found 1 of the tapes- a 30 year old BETA (not VHS) tape that was recorded in EP mode… and it looks AMAZING considering the age and equipment back then. WOW! Thanks Marc for filming and for loaning this to me. More to come.